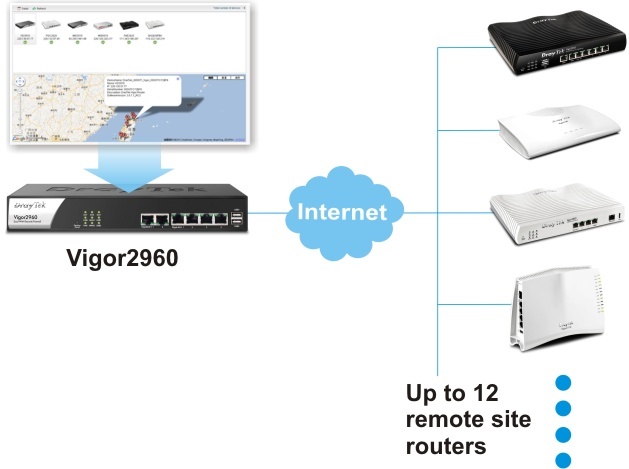 The Vigor2960 series also provides high-security firewall options with both IP-layer and content based protection. The DoS/DDoS prevention and URL/Web content filter strengthen the security outside and inside the network. The enterprise-level CSM (Content Security Management) enables users to control and manage IM (Instant Messenger) and P2P (Peer to Peer) applications more efficiently. The CSM hence prevents inappropriate content from distracting employees and impeding productivity. 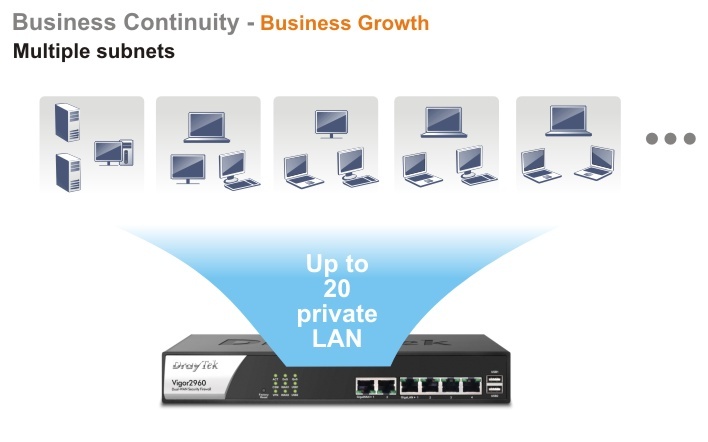 Furthermore, the CSM can keep office networks threat-free and available. With CSM, you can protect confidential and essential data from modification or theft. 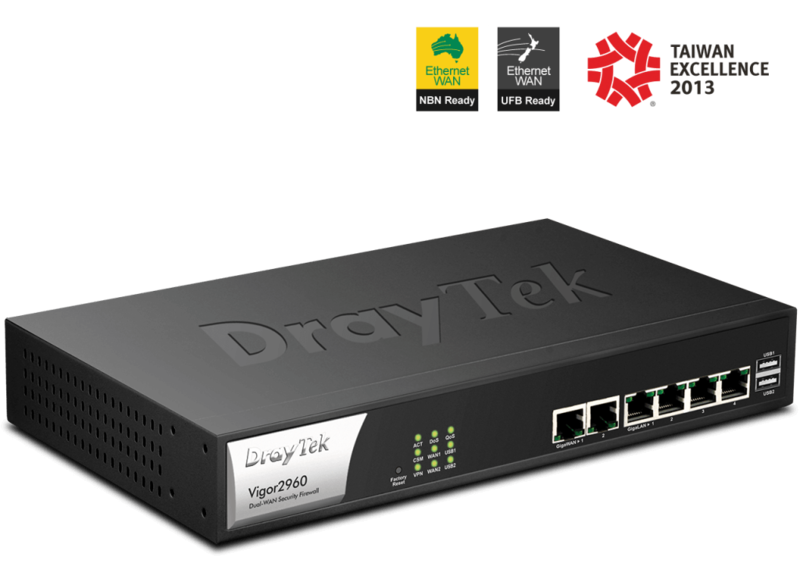 By incorporating CYREN’s GlobalView Web Content Filter services, DrayTek ensures its customers’ networks are protected by the best available security technology. LDAP/Active Directory Lightweight directory access protocol. The enterprises use LDAP/Active Directory authentication technology to allow administrator, IT personnel and users to be authenticated when trying to access company’s intranet environment. IKE Authentication Pre-shared key; IKE phase1 aggressive/standard modes & phase 2 selectable lifetimes. Smart VPN software utility Provided free of charge for teleworker convenience (Windows 7/XP including 32/64 bit). 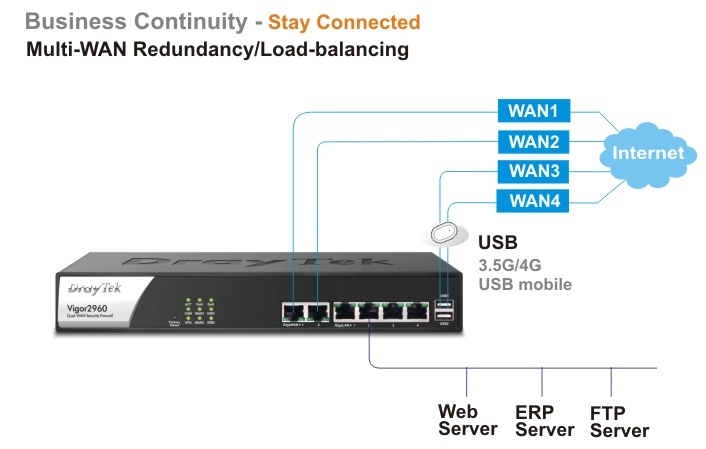 Configuration backup/restore If the hardware breaks down, you can recover the failed system within an acceptable time. Through TFTP, the effective way is to backup and restore configuration between remote hosts. Tag-based VLAN (802.1Q) By means of using a VLAN ID, a tag-based VLAN can identify VLAN group membership. 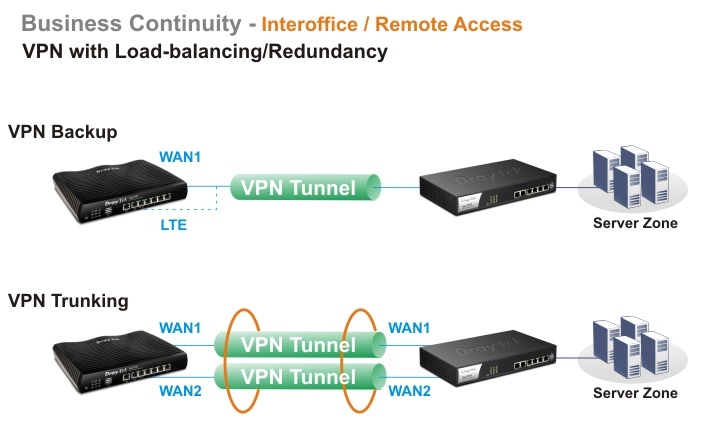 The VLAN ID provides the information required to process the traffic across a network.Furthermore, the VLAN ID associates traffic with a specific VLAN group. Firmware upgrade via TFTP/HTTP Using the TFTP server and the firmware upgrade utility software, you may easily upgrade to the latest firmware whenever enhanced features are added. Remote maintenance With Telnet/SSL, SSH (with password or public key), browser (HTTP/HTTPS), TFTP or SNMP, firmware upgrade via HTTP or TFTP. Policy-based Routing Based on firewall rules, certain data types are marked for specific routing, e.g. to particular remote sites or lines. Dynamic Routing It is with routing protocol of RIP v2/OSPFv2/V3*. Learning and propagating routes. Static Routing An instruction to re-route particular traffic through to another local gateway, instead of sending it onto the Internet with the rest of the traffic. A static route is just like a ‘diversion sign’ on a road.